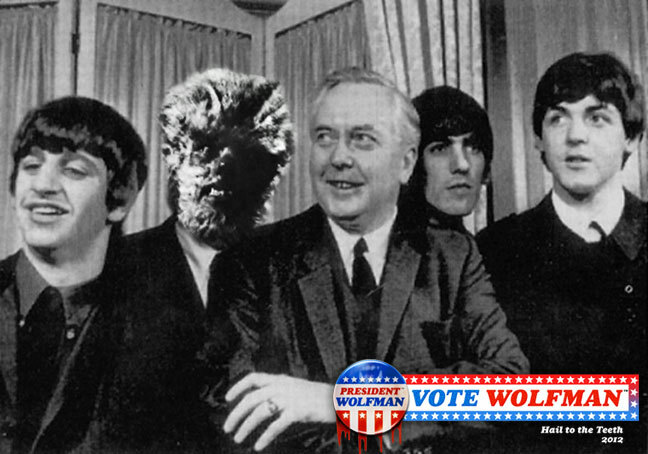 With only days to go before the election President Wolfman helps out his old pals The Beatles by replacing drummer George Lennon. He also accepted an OBE on his behalf from current UK Prime Minister Harold Wilson. Way to go SIR President Wolfman! Or should that be LORD? Harold Wilson’s still alive, right?